Hot molded construction using 3 ply. 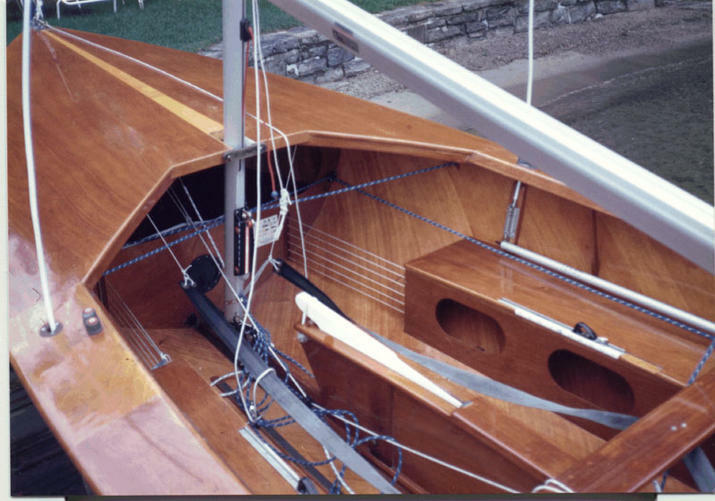 Outer hull planks run fore and aft similar to Fairey Marine Mk2 hulls (In fact, Fairey Marine actually built the early hulls and sold them to JD Young for decking and internal fit out, Fairly flat bow deck. Flat but very wide side decks. Thwart located well aft in cockpit. Closed seat/flotation tank construction. Small bow tank. JD Young Mk1 #5471 as restored in 2003. Note cut down transom is not original. Outer planks make diagonal with waterline. 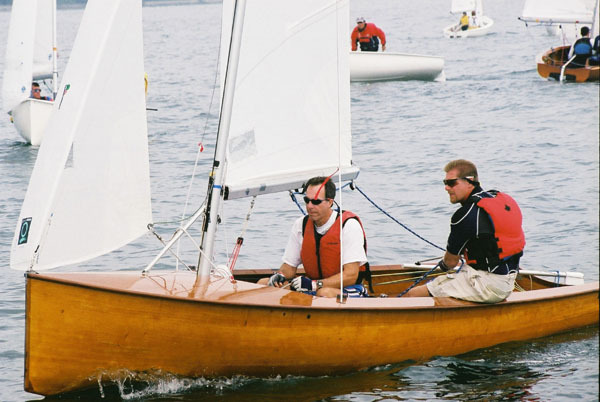 Side decks are crowned and rounded on gunwales.